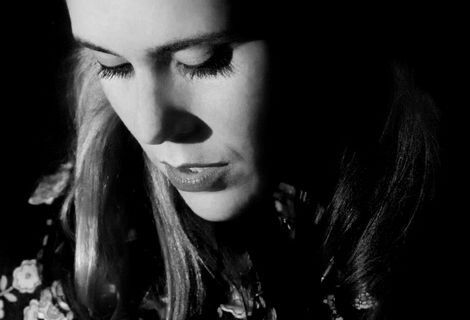 Kate Nash marks her new direction with a date in Liverpool’s Zanzibar. Getintothis’ Jon Davies, while not convinced, hails her brave, risk-taking direction. 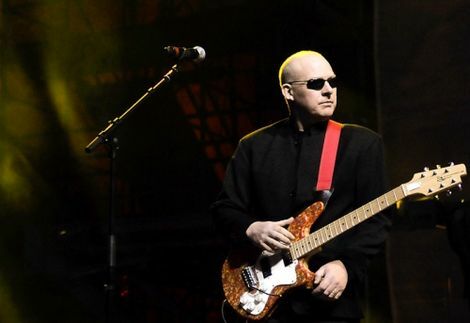 In pop music today one musician’s body of work can be outweighed and at times tarnished by their context, their career path and the tabloid music media’s voyeuristic obsession with knowing every bit of detail of said musician, just to categorise and defame. It tends to happen a few times every year in the pop calendar that a pop star has their history raided, perhaps no more so than Lana Del Ray, where everything from a failed pop career to cosmetic alteration was examined. Whereas Lana Del Ray could at least try to cover her tracks, Kate Nash couldn’t avoid such trappings if she wanted to. Around five years ago she was one of Britain’s most celebrated indie-pop acts, along with a number of other questionably dull bands like Scouting for Girls, the Hoosiers and the Kooks. Other than her hit Foundations she was rather forgettable, safe for a fan perking up every so often about her emotionally incisive lyrics (‘What you being a dickhead for? You’re just being a dickhead‘), so much so that even a Bernard Butler-produced second album couldn’t stop her being chomped up and spat out after a three-year career. More unfortunate was that Nash actually grew and experimented with Butler, albeit still filling the quota of twee-pop she dabbled with bits of soul, psychedelia and, yes, Riot Grrrl. And this is how we get to 2012 Kate Nash and her divisive new sound, style and aesthetic. It’s sad to me that reading various forums and Facebook a few people are more concerned about the packaging of ‘Underestimate the Girl’ than the song itself, whether it was a one-off or ill-fated PR stunt or is this Kate Nash for real. A live setting could be the best way to decipher the rumblings. 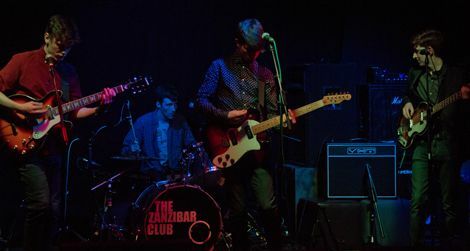 For all the ruminations one conclusion that came from her gig at the Zanzibar was that Nash is attempting, at least, to be bold, which is brave in the hyper-scrutinised pop industry. Her biggest downfall isn’t her material per se but that she’s not going far enough, that despite the fact that she wants to go Riot Grrrl on her audience ultimately she wants to be loved. This means certain trades-offs are made from making her set a sublimely alienating experience, from awkward banter to handing out lyric sheets to the crowd for her new songs. Unfortunately this didn’t stop her fans from feeling estranged from their hero, and it left quite the uneasy, old-friend catch up atmosphere. I would say that Riot Grrrl is not exactly the product that she’s ended up with, rather a pop-punkified indie, although towards the end of her set she begins to unleash a rather shrill and unconvincing yelp that was found in ‘Underestimate the Girl‘. From the reception of a crowd that began with adulation of Kate Nash and ended in baffled expressions, you could tell that not even her fans had expected this much of a musical change. Thankfully for them, but at the annoyance of Nash and her band (uniformed and distinctly out of the limelight), Foundations does get an airing, for her to finish the set with her latest ‘single’. All in all her show seemed unsurprisingly awkward, undercooked and unconvincing. It felt less like seeing an established artist and more so like seeing a new band that had yet to fully gel to each other. However, like every new band, and this is if Kate Nash decides to go further, they need time to gel and have an audience open to hearing with fresh ears, instead of an expectation that simply won’t be fulfilled. 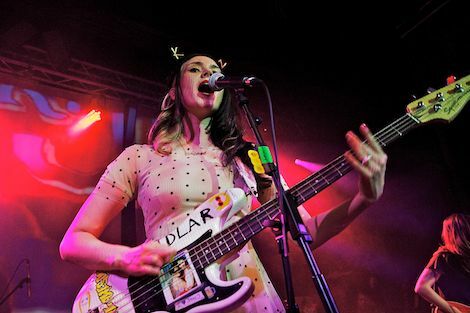 After some thinking Getintothis began to feel somewhat sympathetic to Kate Nash’s cause. Ultimately your feelings towards her new direction really lie on whether you believe she has a big PR team behind her who want her to jump on the Best Coast/Warpaint bandwagon, or if this is a genuine step for her. It’s hard to fight against the industry that made you; it can make you rather detached from raw music and punk, whatever that is these days, but at least she’s not going through the motions and working it out in a daringly exposed fashion. 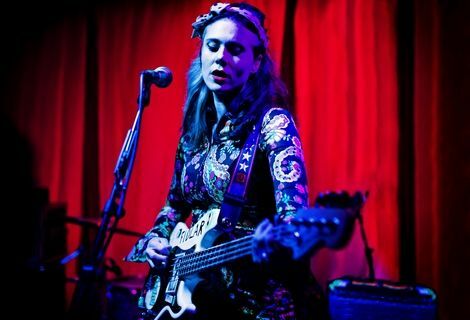 Kate Nash may be making missteps by still acting as if she’s a solo artist when Riot Grrrl focused more on band democracy but at least she is trying, and maybe she’ll get to where she wants to be creatively. And it is brave, as she’s bewildering her existing audience while simultaneously risking ridicule from her detractors who probably would have reacted in exactly the same fashion even if she did make a really good new set of songs. Supposing Kate Nash‘s new direction is inauthentic, it’s a hell of a lot more intriguing than a whole host of supposedly authentic acts, even if it is partly about the context. 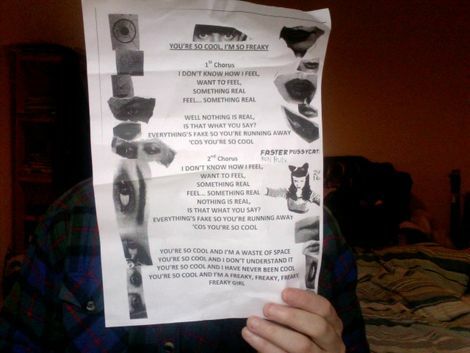 Getintothis’ Jon Davies with one of Kate Nash’s lyric sheet from her gig at the Zanzibar.